Karbi New Year was celebrated across the two hill districts of Karbi Anglong and West Karbi Anglong in Assam with unprecedented enthusiasm this year. Karbi Anglong Autonomous Council (KAAC) has fixed February 1 as the Karbi New Year day and also declared a holiday. Based on the agricultural life of the Karbis who start looking for a patch of hill to cultivate in the month of February is taken as the beginning of the year. KAAC has organized the celebration at Open Cultural Stage, Council Colony at Diphu with an all religion prayer in the mornig. Drawing completion for school children and traditional games like ghila khel- hambi kepathu were held. Drawing competition for school children was inaugurated by secretary, KAAC, Si-im Taro. The winners and runners up teams of the traditional sports received cash prizes and certificates. 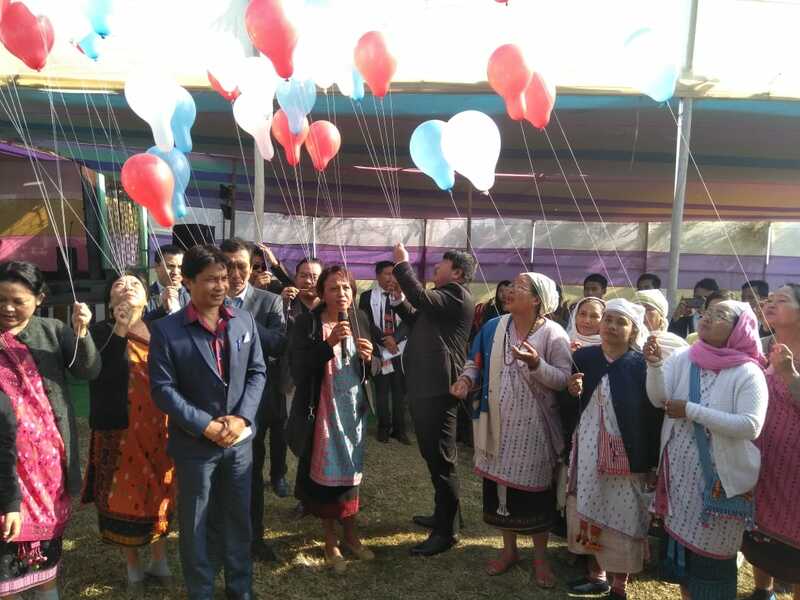 Earlier, secretary, KAAC, Nirola Phangchopi released balloons to mark the occasion. Rongpirbi, here, also celebrated the Karbi New year at Karbi Studies Centre, Lumding Road. It is the seventh edition of Karbi New Year celebration by the locals of Rongpirbi. Ward Commission, Ward No 12, Diphu Town, Rah Kro along with Tingkreng Rongpi, social worker and village headmen attended the celebration. Most of the localities in Diphu put up celebratory gates at the entrance to the villages to celebrate Ningkan Kimi. Likewise, the Japralangso Riso Nimso Aterank also celebrated Ningkan Kimi with a daylong programme at Japralangso playground. Executive Member (EM), KAAC, Jagatsing Engti attended the programme as chief guest. Chief Executive Member, KAAC, Tuliram Ronghang attended the celebration at Karbi Rongsopi, West Karbi Anglong in his home constituency of Bithung Rengthama. Executive Member, KAAC, Rupsing Teron was present at the celebration held at New Market Open Stage, Hamren, West Karbi Anglong as chief guest.